The refractometers of the Heavy Duty line are designed for measuring the refractive index in harsh environments and for special applications. To withstand rough conditions they have a hermetically sealed stainless steel casing and are controlled by an external PC. This can be placed away from the workbench in another part of the laboratory. The Abbemat can be placed on its side to prevent sedimentation and disturbance affecting the results. 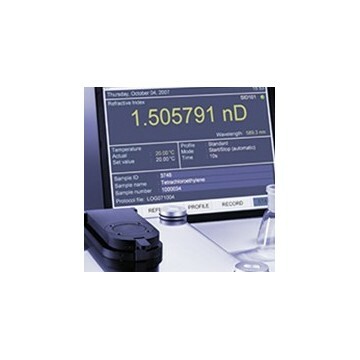 All Abbemat Heavy Duty refractometers provide full compliance with 21 CFR Part 11, with user levels, audit trail, and forgery-proof data export. Anton Paar also provides a qualification documentation package (IQ/OQ/PQ).